Kids and adults alike have enjoyed learning about all the cool things they can do with duckweed. from → Commercial duckweed production, Duckweed Farming, Duckweed Fish Food, Duckweed Garden Showcases, Friend or Foe? Duckweed as such getting popularised. Kudos to you and your efforts. Thanks, Surendra. It was fun to see the looks of astonishment on the faces of adults and kids alike. No one knew what the smallest plant on Earth was, not even the science teachers in the crowd! 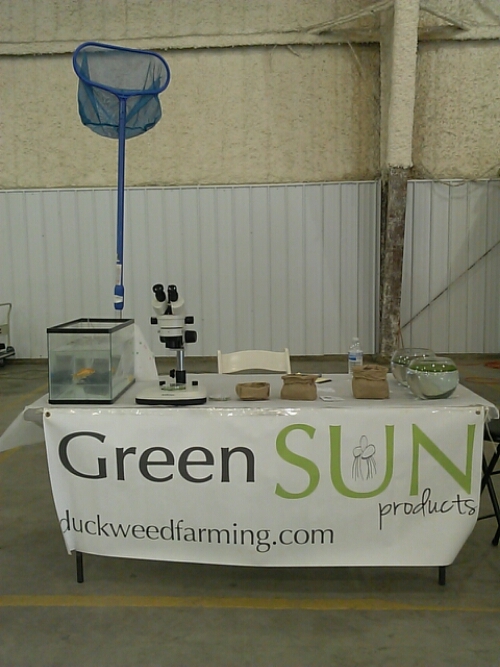 It was so fun getting to share the benefits of duckweed with them all.